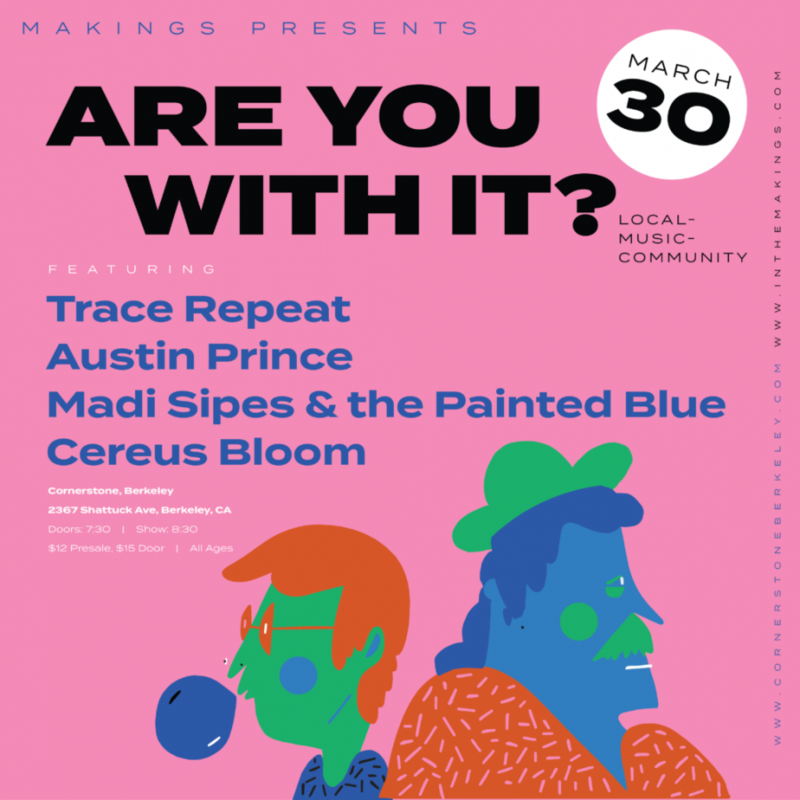 The “Are You With It” showcase, presented by Makings, is coming up at Cornerstone the 30th of March and it’s getting quite the local buzz. Makings is a music and artist advocacy group founded by Austin Prince and his manager, Kara McCall. Makings is all about helping promote Bay Area musicians who might not yet have a huge name or representation. The “Are You With It?” series does just that.